First, a bit of a tangent. Did your kids, or little people you knew ever watch the show The Backyardigans? When my kids were little they did. In the show colourful animated creatures would go on adventures, singing all the way through. One of their adventures was to find a “Yeti”, and they kept rhyming yeti with other words, like spaghetti, if my memory serves me right. 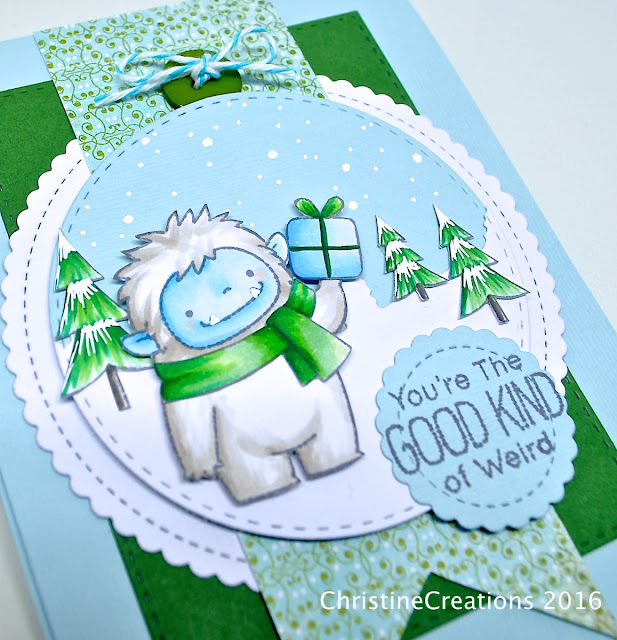 When I was making this card the kids happened to be home and were reminded of that Yeti hunt, a sweet little memory! Alright...back to card making. I purchased this sweet little set from MFT called Beast Friends, illustrated by Birdie Brown. She is still one of my favourite illustrators for her sweet whimsical style. I thought these adorable little creatures would work for a cute birthday card I made for one of my younger son’s friends birthday this last week. Stamped on XPress It Blending cardstock in a softer warm grey ink (Memento Gray Flannel), then coloured up with Copics and trimmed out. He’s just so cute! I placed him in a little snow scene cut with a new TCP die, Hill and Dale CutUps, adding on the coloured trees. I created the snow in the sky with white dots and on the trees with flicks of a white sharpie, and also gave his teeth some white polish with the white sharpie too. Layered together with some stitched dies, a little fishtale pennant flag and some ribbon and twine and he’s complete! The sentiment seemed fun for a 14 year old, while still remaining cute. Inside includes some of his footprints because those yetis are so hard to find! Here’s the Copics I used. He was really fun and honestly really easy to colour. Thanks for dropping over today. See you soon, and I hope you have a great week ahead. So cute, tickles my funny bone, and I LOVE it! Great sentiment (I would use that a lot). Darling image and beautifully designed and photographed card. Your white Sharpie sure made great snow. I'll have to see where I can find one of those. So cute on the inside, too! Totally darling image and scene you have created. 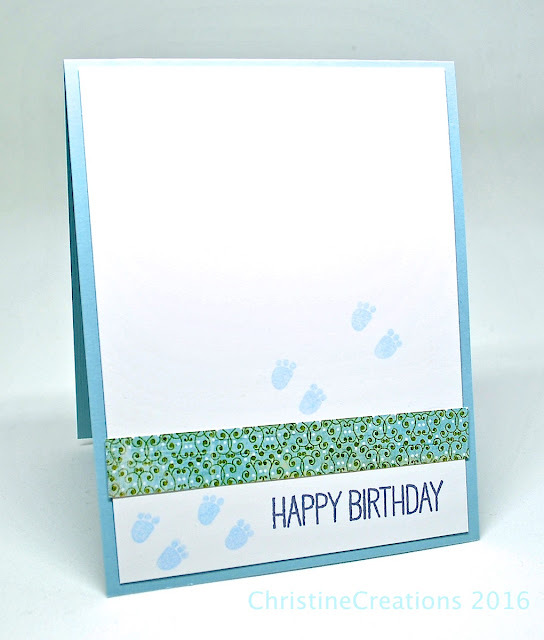 so very cute and such a fun sentiment :) Great design of the card too!